So now Venus is in transit...moving across the sundisc in all her glory...so close to the powerfull sun. What is the message in there? See, Venus is the goddess ascociated with love and beauty, the feminine principles. The Sun represents leadership, creativity and is the male life force. Suddenly that brings me to an image of this big hunk of a guy in the sky...and this foxy lady is walking past..
How can he not fall in love with this dainty younglady that flirtatiously passes by him, so close he can almost touch her...or even more then that..he touches her with his warmth. Reality knocks on the door in a whole different way though...I hear many people are experiencing a real challanging time.. The energy is not kidding around these days. On the 3rd of June the sun unleashed an M3-class flare and it was a fierce one. On spaceweather.com they even said it had the effect of a tsunami on the sun. Nothing gradual about that one! Woopla! It shoot up, and we are now noticing its effect clearly! Strange and unexpected stuff is happening..money drains away, certainties dissolve, solid stuff turns to dust. Break ups, ending of friendships and love-relations, jobloss, houselease problems etcetera. Kinda hard to keep your focus on the good stuff huh? Hard as it may seem, its now more important then ever to keep your focus on the changes, letting them come (even welcome) as smooth as possible. In order for that to happen you should give up resistance..I know, thats not easy. Have you seen the Harry Potter movies? I think it was in part two where Harry, Ron and Hermione got tangeled up in a weed called Devil's Snare...and ofcourse Hermione knows, that in order for the weed to loose its grip on you, you have to totally relax, give up the struggle. She does that, and is released, Harry follows her lead in full trust and is also free...Ron however totally panics and can only escape because Hermione knows another spell. 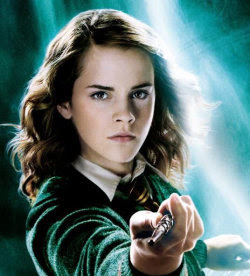 What we need to do..is be Hermione, be in our knowing and let go. If you can't do that, then at least be Harry and be in trust and knów all will be well. Let's not be Ron okay? Lets not panic, lets see if we can find the focus again, the trust..the knowing. For me, in order for it to work, I need to know that it is all good. Knów..not accept, for accepting is also focussing on the need for something different. That probably makes me Harry, because in order for me to know..I listen to people I trust completely...and let them be my Hermione. For me these people are for example Dee Wallace, Jim Self and Suzy Miller...and Hermione. So...even while it is raining..drizzeling..I will go out for a walk, and listen to what they tell me.